Nationwide, utilities and other asset owners are seeing an influx of inquiries and permitting applications for small cell. Today, there are nearly 2.8 million small cell units deployed globally. By 2025, that number is predicted to reach 70.2 million - fueled by the drive to 5G. The increasing quantity of small cell attachment requests will likely create backlogs, delays, staffing challenges, and stress for asset owners. Managing and coordinating the dramatic increase in attachment permits and make-ready will soon be a significant focus throughout joint use. Small cells operate on the same radio access technology as WiFi, Bluetooth, 3G and 4G (LTE). Smaller in size than standard macro cell towers, they require minimal power to operate, have a shorter range, and can handle fewer concurrent calls or sessions. What is Driving the Recent Rush of Small Cell Deployments? As mobile data capabilities have increased from 2G to 3G to 4G (also know as LTE), so have consumer appetites for data. Americans are demanding faster wireless everywhere. As we inch toward the next generation in wireless connectivity, providers are racing to build the infrastructure needed to support the continued increase in global data traffic. 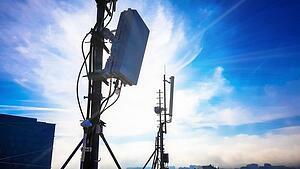 Why are Small Cell Deployments Exploding Now? Our existing infrastructure will not be able to support the coming demand for 5G. Providers’ 5G strategies rely on advancing capacity and network speed to patch coverage holes, optimize signal strength, and increase capacity to meet consumer demand – all of which can be achieved by supplementing macrocellular towers with small cells. The resulting densification will also support the emerging Internet of Things (IoT), in which more sensor-enabled wireless devices will create a new world of connectivity and interactivity. What Do Small Cells Mean for Joint Use Professionals? Small cells may be somewhat new to utility pole owners, but eventually more than 75 percent of small cells will be placed on utility poles. A few basic details can help asset owners better prepare to respond to provider inquiries and permitting applications. Size: The size of small cell attachments varies; some may be as small as a TV remote control, but many are the size of a pizza box or briefcase. Where to Attach: Most small cells are expected to be placed on utility poles. Others will be deployed on street signs, streetlights, or buildings. Distribution: With a range that runs from 10 meters to a few kilometers, small cells can be placed relatively close together. They can reuse the same frequencies many times within a geographical area. Ownership: Small cells are typically dedicated to a single carrier. When a pole has been “claimed,” that provider is usually the only one that can attach due to space. Sometimes more than one small cell is allowed. Placement: Small cells use low-height antennas, and often have limited coverage. Antenna siting should account for signal interference, including foliage and buildings. Community Concerns: Like other types of utility pole attachments, communities are sensitive to the aesthetic impact of small cells. Despite their minimal size, the proliferation of small cell attachments could eventually create visual clutter. Zoning and Design: The ideal RF design and pole design is often not the ideal zoning design. Communications between the service provider, asset owner, and the local government from early on can smooth the process. With the right information, tools and procedures, it is possible for asset owners to manage the growth of small cell attachments. Learn more about small cells and what they mean for the industries involved in joint use – now and in the coming years - in our small cell blog series. Get help managing the influx of small cell attachment requests; communications with carriers, contractors, and relevant parties; deadlines; make ready work; and other joint use activities with Alden One® – a centralized asset management platform for joint use.